If you own the controller wheel, do you recommend it? I&apos;m debating if I should get the controller wheel. There are mixed reviews about it and I&apos;m wondering if I should get one. I&apos;m interested in getting it for smooth panning. The one thing I hate is that I will need to constantly remove it from the Osmo Pocket when I put the camera away. I tend to misplace things so not sure if this will be a good option. Besides that, is it worth it or I&apos;m better off using my phone? Thanks. Thanks Zoom. I bought the WiFI module separately and recently started experimenting filming more without the use of the phone. My phone adapter broke and it will be awhile until I get one. So for now, I&apos;m looking for creative ways to use the Osmo Pocket and thought about the controller wheel but I don&apos;t like the idea to remove the plastic phone adapter each time. From my experience, those adapters are expensive and hard to find but I&apos;m willing to try the controller wheel if it will give me an extra benefit than using the phone. It depends , if you get it you can use it for many things, it’s exceptional for smooth straight panning also up down panning , you can pan very slowly or very quick, it also has two clever buttons one to change from tilt lock to FPV to follow very quickly, also fast flip button to go from film mode to selfie mode, and lastly two more extras you can by holding down right button maintain tilt lock and it also offers a very nice grip . 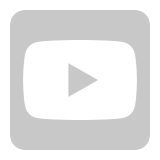 I have it and have used it, it’s pretty good and will always be used when needed. Yes price is expensive, but just like Apple accessories it seems your paying a brand premium. Hello and good day Joemar7. Thank you for choosing DJI and thank you for the inquiry. The DJI Osmo Pocket Controller Wheel is equipped with a dial for precise pan and tilt control, as well as two operation buttons for improved shooting composition. I hope you&apos;ll get the best recommendation here from our valued DJI Members and Customers on there experience in using the DJI Osmo Pocket Controller Wheel. 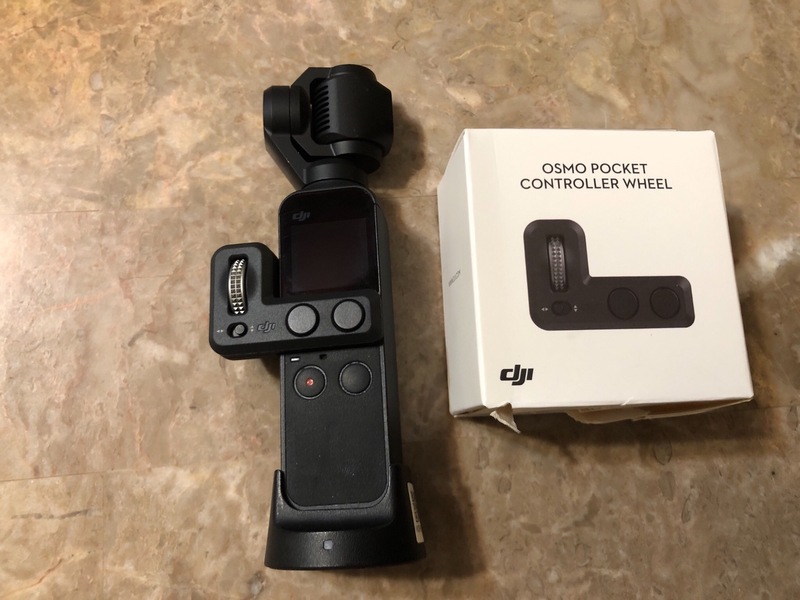 For additional reference I will be posting a link where in you can check the overview and the specifications of the DJI Osmo Pocket Controller Wheel. Thank you. Hi, sorry that this accessory is out of stock as of the time being on our store. If you wish to purchase this accessory you may provide your email in "IN STOCK REMINDER" for you to be notified once this accessory would be available on our store. Thank you for continued support. I find the wheel is easier to use than trying to use it on the screen. so for that reason I would say its a useful tool. I would admit that I feel it is a little overpriced for what it is. 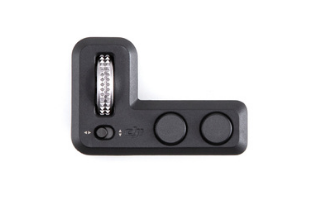 The total gimbal lock it provides can be very handy. For instance, at a concert or something like that, if using it for a long hand-held shot, you can press down the right button and then move your hand which is holding the Pocket to a new more comfortable position without messing up the picture at all. I ought not to reply you because I am not the wheel owner yet. I considered to buy it together with mount and wifi module before while the package was in stock. However, I wondered the bigger size of the OP with wheel installed and how to carry it. At present I use third party mounts and an OTG cable to remote control the OP and find all running well. The dilemma is after buying the wheel, panning may become easy with the cost of buying a bigger case to carry the whole thing, or unmount the wheel every time before put back to the tailor made DJI carrying bag. I bought wheel controller and wi-fi adapter separately as soon as they appeared available on DJI web store. They are both very useful and make filming much easier. I don&apos;t really use Story mode so the wheel control is always attached to the OP as well as wi-fi adapter. I don&apos;t carry OP in the original case, in order to protect gimbal when in my pocket I use PGYTECH gimbal protector so no need to remove it. The wheel controller works very well for me, left button allows to quickly change gimbal mode, very handy option. 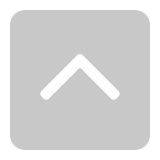 Right button switch to selfie mode, feature I don&apos;t use, wish I could use it to center camera instead. The wheel itself is fantastic in my opinion, allows for very slow/smooth tilting/panning. The ergonomics of the wheel controller work for me, I&apos;m right handed but I can hold the OP in my left hand and with a thumb control all the feature. I even tried to wear leather gloves and operate wheel controller, no problems, worked very well. I was surprised to be able to swipe the OP display wearing gloves and it works but not as good as without gloves. Some people on this forum like to use phone display to control panning/tilting but not me, the only time I use my Samsung S9 Plus is to change setting and when recording timelapses. Thanks, DJI Stephen. Unfortunately, it is out of stock and same thing with the phone adapter. Thanks guys. I appreciate your feedback. You convinced me to get one and hopefully that&apos;s soon. I have the wheel adapter and find it very useful - what is NOT useful is that you can&apos;t safely store the Osmo Pocket with it still attached in the case - so you either have to make your own new case, or install it every time you use it. Not very user friendly if you like it. A redesigned case that allows you to stow the device with the wheel attached would be ideal. I don&apos;t mind so much that the case doesn&apos;t work with the wireless attachment (also bad, but I can live with it), but this one is a bad didn&apos;t check with real world beta users deal. And yes, the wheel really helps the device. Thanks for your feedback. Yeah, storing it away is the one thing I would hate the most but hopefully a third party company can come forward with a solution. For now, I intend to store it away using the gimbal guard I have, with one of those meshy sleeves that come with the Anker chargers. Even a sock will do the trick. Lol. Yeah that one looks awesome but I hardly use a backpack. It will be nice if PolarPro can design a smaller case/sleeve just for the OP and the controller so it fits in my pocket. It fits in a large pocket. That&apos;s what I&apos;m looking for. Wheel works well for me so far. Have used the Wifi thing a few times and never the mount piece. You are very much welcome Joemar7 and thank you for supporting DJI. I pulled the trigger and bought a controller wheel. Wow, you guys were right. It’ really is a game changer. Thanks again for your feedback!